2017 "Let's Roll, It's Time to Bowl"
For the 5th consecutive year, River Region Human Services is hosting its annual “Let’s Roll, It’s Time to Bowl” fundraiser on Friday, April 7, 2017 at Batt Family Fun Center, located at 1838 Cassat Avenue, Jacksonville, Florida. Each year, proceeds from this annual fundraiser benefit specific programs and services provided by the agency. This year’s proceeds will support Camp Unity, which provides under-served, school-age children with a safe, productive and fun environment during their summer vacation. The agency’s goal is to raise enough proceeds to finance the expense of the camp in its entirety which includes educational activities, arts and crafts, physical fitness, field trips, nutritious meals and snacks, and more. Each year, bowl-a-thon participants enjoy three hours of unlimited bowling, delicious food and beverages, exciting raffles, spectacular prizes, and wholesome fun with colleagues and community partners; all to benefit meaningful causes. 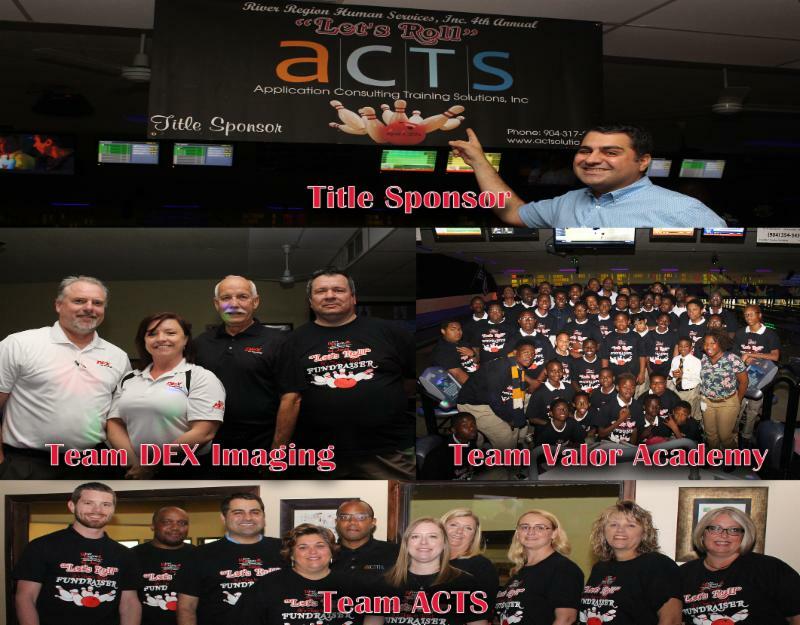 Jacksonville-based technology solutions provider, ACTS (Application Consulting Training Solutions, Inc.), has consistently partnered with River Region since the 2013 inaugural year of the bowl-a-thon. As the sole title sponsor for five consecutive years, ACTS has generously contributed to each bowl-a-thon, not only monetarily, but also through its promotion and participation at every event. ACTS CEO, James Farhat, previously stated, “We are excited to contribute to River Region’s efforts to provide opportunities for the next generation by sponsoring this fun community event.” River Region CEO, Dr. Tiffany Galvin Green and her staff express tremendous gratitude to Mr. Farhat and the entire ACTS organization for their continuous and extraordinary support. 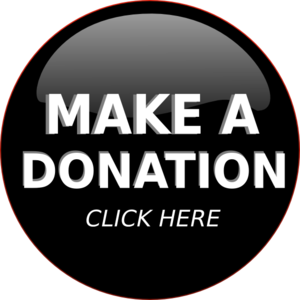 To register as a participant at this year’s bowl-a-thon, please click the “Registration” button; or to make a donation only, simply click the “Donate” button. 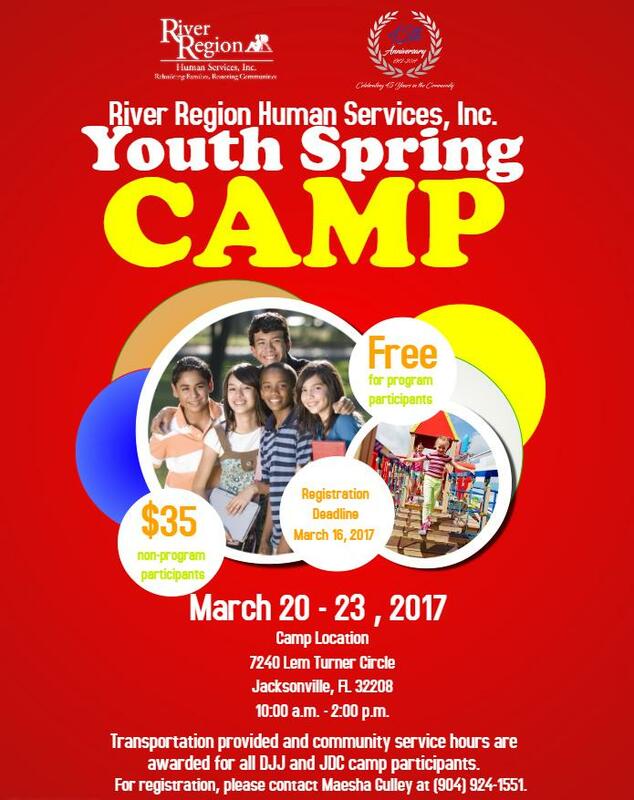 If additional information is needed, please contact Tina Clayton at (904) 899-6300 ext. 4116 or tclayton@rrhs.org. 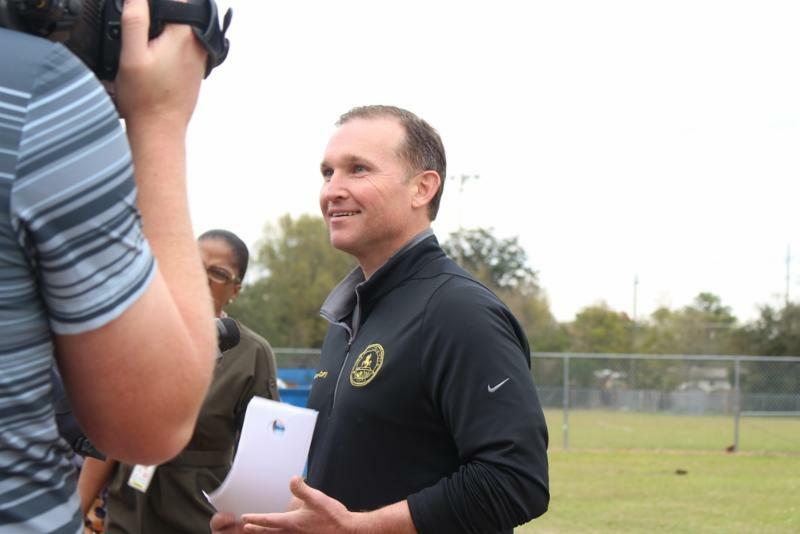 On February 21, 2017, Mayor Lenny Curry and members of the Jacksonville Sheriff’s Office walked the Justina Road community which is home to River Region’s Justina Neighborhood Center. The Mayor wanted to hear from residents regarding crime in their community. Mayor Curry wanted the community to know that he is also concerned and plans to address the issue of crime and violence. Click here to read the complete News4Jax article.